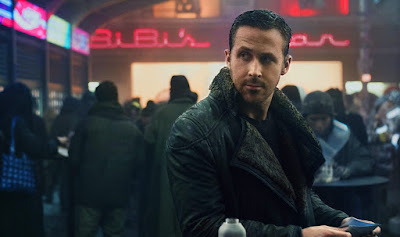 Ryan Gosling in Denis Villeneuve's BLADE RUNNER 2049. Ridley Scott’s original “Blade Runner” is a seminal work of science fiction, an introspective rumination on the nature of life and what it means to be human. It was the sci-fi offspring of German Expressionism and film noir, and remains a staggering example of intelligent mainstream filmmaking that turned a sometimes marginalized genre into pure pop art. Rather than operate as a vehicle for 1980s nostalgia, Denis Villeneuve’s “Blade Runner 2049” feels like a natural, even essential, continuation of the story of the original film. Villeneuve wisely takes the themes of Scott’s “Blade Runner” and explores them from a new angle, while maintaining fidelity to the world built by its now classic predecessor.